We rotate flavors through and add new ones constantly in order to give you variety, but we all know the Froyo is just excuse for toppings! Ice cream is ice cream; you can't replace it. For the die-hard fans, we have Blue Bell hand-dipped ice cream, year-round. 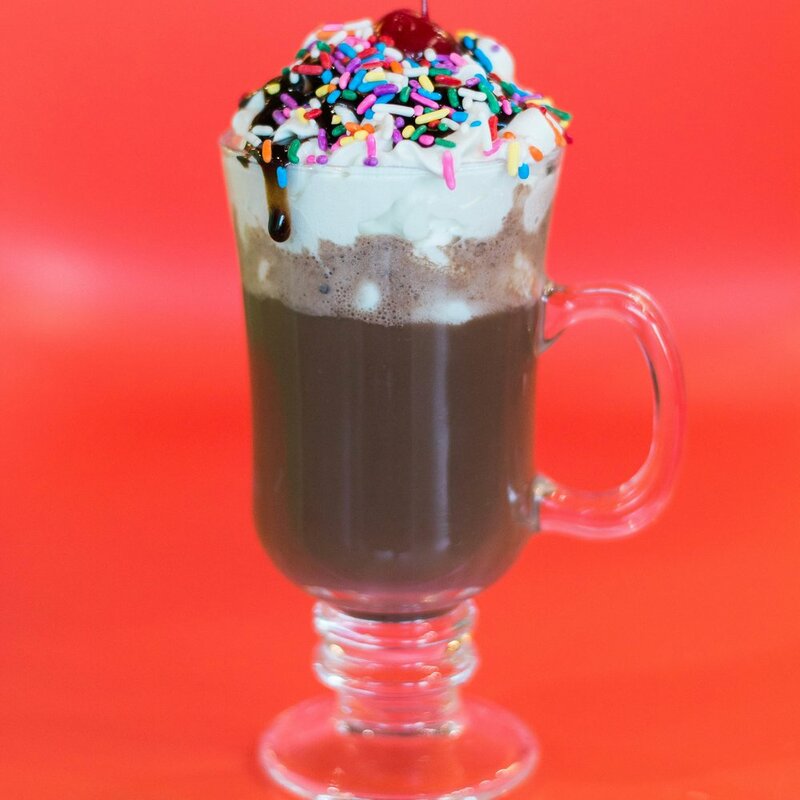 For those cold nights, or just times when you'd rather drink your dessert than eat it. We have everything from chocolate to fruit, to suit your every appetite. Your sweet tooth knows when toppings are skimped on, so we don't.